The last round at the 40th Chess Olympiad in Istanbul was as exciting as it could get with the results being decided with tiebreaks after all the final games were played! Indian men finished with the 35th place below their seeding of ninth. Indian women finished with the fourth place above their seeding of sixth. National Champion Abhijeet Gupta picked up an individual Silver Medal as board prize for the fourth board. Tania Sachdev picked up an individual bronze medal as board prize for the third board. Indian women on their way to beating France in the last round and finishing fourth at the Istanbul Chess Olympiad. The Final round saw India lose to Azerbaijan with Shakhriyar Mamedyarov beating Pentala Harikrishna. All other boards were draw. Indian women beat France in an exciting match. Istanbul Chess Olympiad Round 10: Indian Men Draw with Cuba, Women Beat Israel; Abhijeet, Tania in with Chance to Win Board Prize! 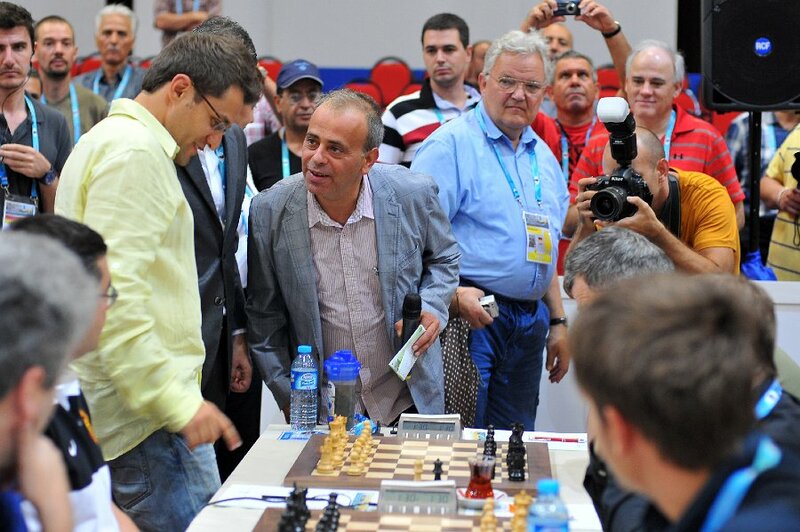 Round 9 was played at the 40th Chess Olympiad in Istanbul on Thursday. The Indian team did their best to draw with Georgia in the open section. The Indian women's team did their best to hold up against Russia, but lost because of the very high rating of their opponents. Two more rounds are to be played. Though, the Indian men are out of medal contention, the Indian women have an easy tenth round against Israel and could be well on the winning dias after Round 11. Standings after Round 9 have India in the nineteenth place in the open section and twelfth place in the women's section. Here are the pairings for Round 10 which you can watch live from India time 5.30 pm at the official website. A live video feed is available at this link. 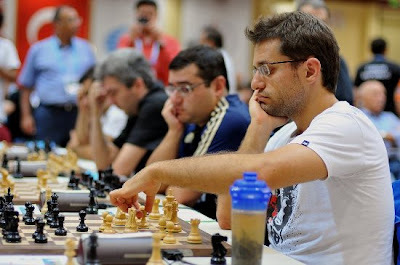 The eighth round at the 40th Chess Olympiad in Istanbul saw India draw with Serbia. The board results included GM Sasikiran, Krishnan (2707) losing to GM Ivanisevic, Ivan (2645), GM Harikrishna, Pentala (2685) drawing with GM Perunovic, Milos (2614), GM Negi, Parimarjan (2664) drawing with GM Sedlak, Nikola (2549) and GM Gopal, Geetha Narayanan (2550) beat GM Popovic, Dusan (2579). In the women's section, the Indian team beat Vietnam nicely with the board results being WGM Le Thao Nguyen, Pham (2393) drawing with GM Dronavalli, Harika (2503), WIM Thi Mai Hung, Nguyen (2212) beating IM Karavade, Eesha Sanjay (2371), WIM Kieu Thien Kim, Le (2226) losing to IM Sachdev, Tania (2379) and WIM Bich Ngoc, Pham (2172) losing to WGM Gomes, Mary Ann (2396). Three more rounds are to be played. Indian men play Georgia and women take on Russia on Thursday. Russia has a cool 15 points. China, Armenia, USA, Germany and the Philippines are right behind with 13 points each. Azerbaijan, Ukraine, the Netherlands, France, Israel, Argentina and Poland are in third place with 12 points each. In joint fourth place are (hold your breath) Hungary, India, Georgia, England, Uzbekistan, Czech Republic, Serbia, Belarus, FYROM, Vietnam, Italy, Slovenia, Denmark, Brazil and Austria! 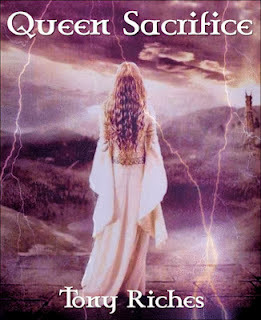 (in that order of tiebreaks.) That puts India in a current standing of 15th place. 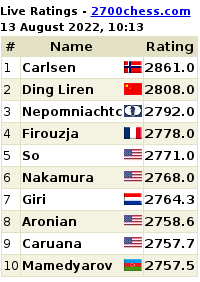 Among the women, China is leading with 14 points. In joint second place are Russia, France, India and Uzbekistan. According to tiebreak points, India is right there in for a medal contention at fourth place! In joint third place are Ukraine, USA, Poland, Kazakhstan and Armenia. This is going to be surely the best India has ever done at the Chess Olympiads. In the seventh round, at the 40th Chess Olympiad in Istanbul, India held Argentina to a creditable draw. There were fighting games on all boards despite what the scoresheet reads. In the women's section, India had a fantastic result. Meanwhile, the seventh round brought another win for Russia as they beat Azerbaijan with three draws and a win by Alexander Grischuk on the second board in the open section. 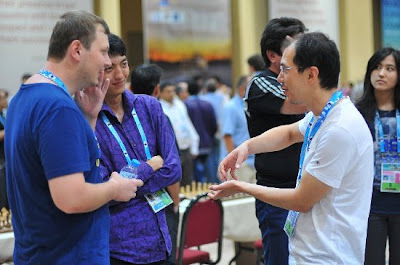 Grischuk continued to fight and corner Eltaj Safarli eventually breaking the latter's defense. Russia has 13 match points. China and Ukraine have 12 points each. Armenia, USA, Hungary, Azerbaijan, Germany, Uzbekistan and Philippines have 11 points each. Round 5 at thee Istanbul Chess Olympiad 2012 saw India draw with England even as Parimarjan Negi let his former teacher, none other than GM Nigel Short, escape! All the other games were drawn as well. In the women's section, India lost to China with losses on all the lower three boards. However, Dronavalli Harika did a fantastic job in drawing with Women's World Chess Champion Hou Yifan of China. Meanwhile, on the first match table, two-time Chess Olympiad Champion Armenia beat defending champions Ukraine. 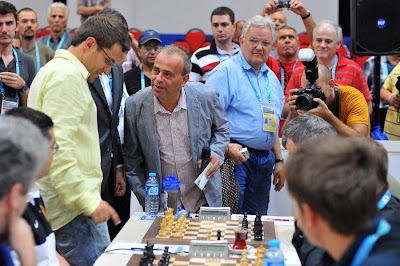 World #2 Levon Aronian beat Vassily Ivanchuk with a nice exchange-up and follow-up tactics which were enough to win the match for Armenia as the other games were drawn 2,5-1,5. 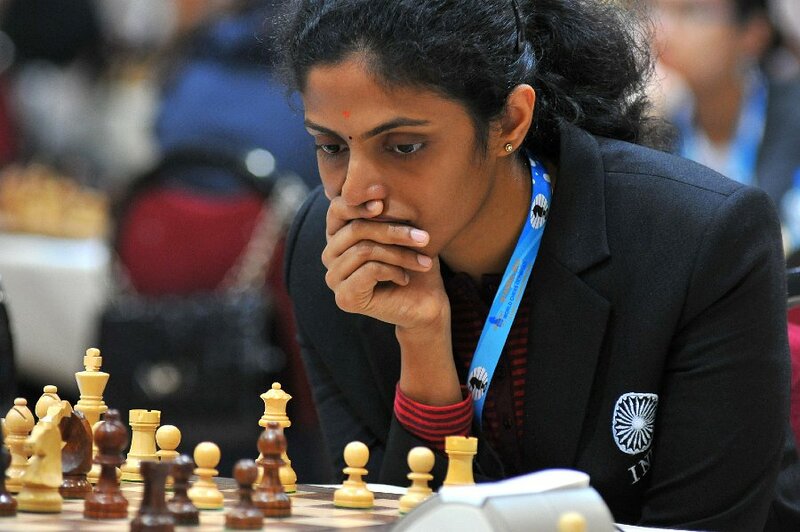 Indian chess teams chalked up their second straight wins in the second round at the Istanbul Chess Olympiad on Wednesday in both the open and women's sections. On Board 13, India beat Turkey 3-1. GM Krishnan Sasikiran beat IM Burak Firat and GM Abhijeet Gupta beat CM Vahap Sanal. GM Parimarjan Negi picked up a draw against FM Ali Marandi and GM Gopal, Geetha Narayanan drew with CM Dastan Muhammed Batuhan. On Board 6, in the women's section, India beat Australia 3.5 to 0.5. IM Eesha Sanjay Karawade, IM Tania Sachdev and WGM Mary Ann Gomes picked up wins over WIM Arianne Caoili, Sally Yu and Giang Nguyen. WGM Soumya Swaminathan drew with WIM Bijana Novakovic-Dekic. Meanwhile, on the top boards, Ukraine, the defending champion defeated Qatar with a 3-1 score despite the loss by first board GM Vassily Ivanchuk to GM Mohamad Al-Modiahki. Ivanchuk was slightly better with black but he carelessly allowed the enemy queen to sneak into the back rank. 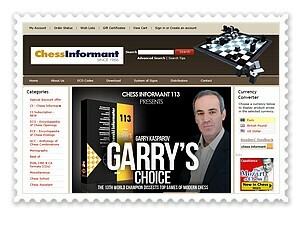 Ivanchuk immediately resigned, declining attempts to seek compensation for the piece. The United States beat Lithuania 3.5-0.5 after Hikaru Nakamura finally broke down the stubborn resistance of Grecian GM Vidmantas Malisauskas in a marathon 107-moves long game. Azerbaijan had no difficulty dispatching their Irish opponents, however the young talent FM Ryan Rhys Griffiths managed to steal the only draw for his team in the game against the seasoned Azeri GM Rauf Mamedov. Indian men and women chess teams have begun the Istanbul Olympiad Chess Olympiad with 4-0 victory over Wales and FYROM, Former Yugoslav Republic of Macedonia. P Harikrishna, Parimarjan Negi, Abhijeet Gupta and G N Gopal beat Wales' Richard Joneslost, Tim Kett, Richard Dineley and Lolo Jones respectively. 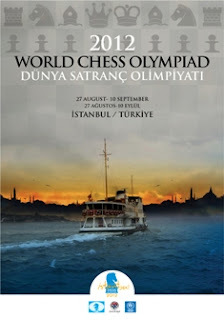 A record-breaking 158 countries will start off with the first round at the Istanbul Chess Olympiad in Turkey today at 15:00 local time (India time 5.30 pm). You can watch live at the official website. The live video feed is at this link. 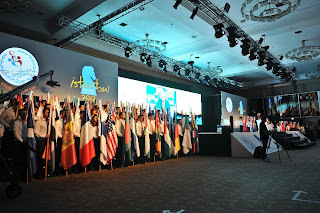 The drawing of colours took place during the opening ceremony at the WOW Convention center in Istanbul. The ceremony began with the national anthem of Turkey, followed by a tribute to chess players in history, traditional dances and programmes. FIDE President Kirsan Ilyumzhinov, the Minister of Youth and Sports Suat Kilic, and the Turkish Chess Federation President Ali Nihat Yazici greeted the participants. It's always a pleasure to have chess news come in from Pakistan that is only beginning to witness chess at the national level. We thank our readers who have pointed out the following videos of 11-year-old Mehak Gul Zahid. It is her father who has inspired her to take chess and she is now going to be one of the youngest participants at the Istanbul Chess Olympiad 2012. Gul has been playing chess since she was six and recently qualified for the national team. A student of the Lahore Garrison School in Township, Gul won school chess championship back in 2010 after which she participated in the Punjab Chess Championship in June this year. She came third in the competition. Enjoy the videos. The 40th FIDE World Chess Olympiad will take place in Istanbul, Turkey, 27 August - 10 September. A record-breaking 162 nations have registered for the competition with more than 1700 players and captains. The arrival of delegations is underway and the opening ceremony will take place August 27th at 21:30 local time (20:30 CET) in the WOW Convention Center. The ceremony will be broadcasted live in 4 languages simultaneously. The first round begins August 28th at 15:00.